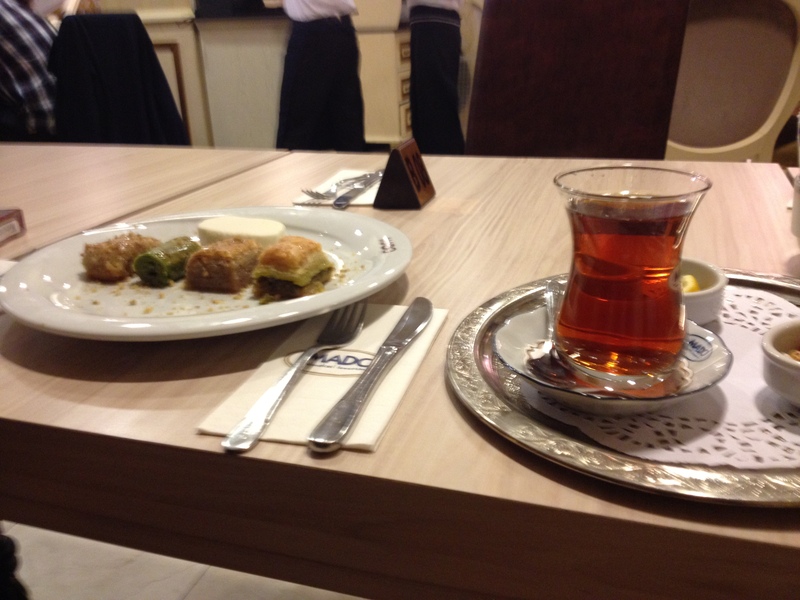 As a student in the Middle Eastern Studies Department, Turkey is the ideal destination. 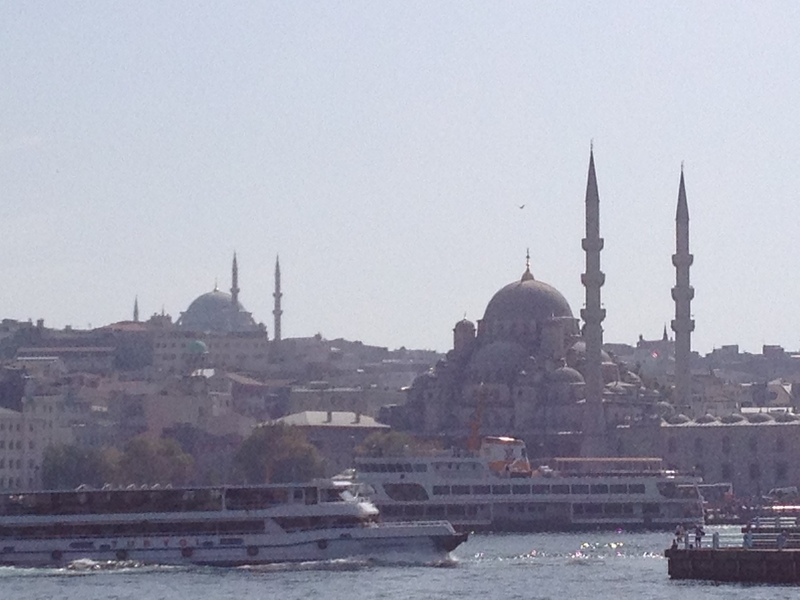 The culture here is so unique, from the men selling tea by the Bosphorus to the call to prayer five times a day. It is a beautiful place, with some of the friendliest people in the world. Also they have some of the best food here, but I will speak more about these things in later blog posts. Studying in Turkey was a little daunting to me because, well, learning enough Turkish to communicate sounds terrifying! That’s the reason why I decided to squeeze Turkish 1 into my schedule at Edinburgh last year. But after being here for one month now, I’ve found that most of my worries were exaggerated. Turkish class may not be the quickest way to learn Turkish at Bilgi; speaking to Turkish people in hand gestures and two word sentences might actually be more effective. Despite those drawbacks, Turkish isn’t that necessary for general life, although it is convenient. See, if you say a few words in Turkish and they know no English, that then makes it ok for them to talk quickly and use big words in Turkish. But most people who interact with tourists often (waiters, shop keepers, hotel people) know at least a few words in English and are thrilled at a chance to try their words out on you! If you have a complicated question, my advice is to ask someone who looks like a student. Also watch out for those wonderful Turkish people who want to help you find your destination so much that they give you directions despite not actually knowing the way. As a side note for any interested parties, if you are going on Erasmus exchange, be prepared! Most people on the exchange will speak English nearly as well as you, or in some cases, they will actually be better than you, a native English speaker. Don’t forget to make Turkish friends either! Every one of them will be happy to teach you Turkish in exchange for a few fun English phrases. Additionally, I have to remember not to forget that I am here to study! I am determined to pick a dissertation topic while I’m here. Unfortunately it is very easy to get swept away by the amount of things to do in Istanbul: museums to see, food to try, parties to attend. Istanbul is truly the city that never sleeps. It makes New York look positively narcoleptic. I’m living in the Tophane residence hall, about a 10 minute cab ride from Taksim Square (the Turkish equivalent of Times Square), and I can tell you that any time, day or night, Taksim is full of people. You can be swimming through a crowd at 3 am like it’s rush hour. Here for a month already and it seems like a few days. My time has been consumed by administrative paper gathering, course selections, attending said courses, and eating. Cooking at the dorms is a little frustrating so I tend to spend most of my time eating out. This leaves little time for all the sight-seeing I want to do around Turkey. Although this weekend is Cappadocia! I am off to central Anatolia to see beautiful nature and experience a slower side of Turkish life.